Dr Panda is Pro VC – Centurion University of Technology and Management, Odisha, and an eminent scholar and academician of the country. 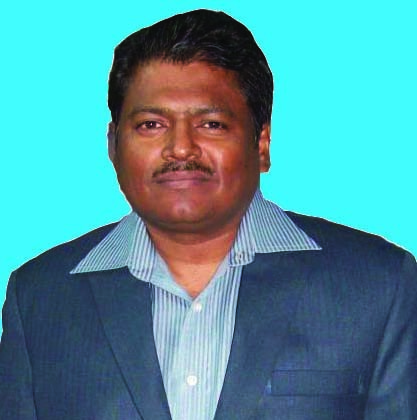 He was previously the Director (Academic), Centre for Environment and Development (CED), Thiruvananthapuram, and Director at the HDF School of Management, Cuttack. With more than 25 years’ national and international experience in academics and industry, Prof Panda has been a Member of the Board of Governors at Institute of Rural Management (IRMA), Anand, Gujarat and has also worked with the South East Asia Technology Co Ltd, Bangkok and National Thermal Power Corporation (NTPC), New Delhi. His education includes a Ph.D in Management of Technology and Masters (Engineering) from Asian Institute of Technology (AIT), Bangkok and MBA from FMS-University of Delhi. His areas of research include Strategic Issues in Development Organizations, Management of Technology and Rural Energy Management. He has recently authored a book “Governance and Management of Rural Electricity System in India”. Dr Panda is the Chairperson of Livolink Foundation. Ms Rekha Panigrahi has been engaged in development sector in Odisha for last 15 years and currently associated with CARE, an international organization as Institution Building Expert. Her repertoire of work experiences include leading the Odisha team of Centre for World Solidarity and heading the research team of Vasundhara, Bhubaneswar. Her main area of expertise lies in research, networking, program and partnership management and appraisal, monitoring and evaluation. She has conducted several studies and researches on sustainable livelihoods, institutional, policy and gender issues around forestry sector and has published a good number of research documents. Her academic credentials include a Post-Graduate degree in Rural Development from Xavier Institute of Social Services (XISS), Ranchi and Post-Graduate Diploma in Interdisciplinary Research and Women Studies from Utkal University, Odisha. Ms. Panigrahi is an Executive Committee member of Task Force on Violence against Women, a state level organization working on gender issues. Ms Panigrahi is on the board of Livolink Foundation as its Managing Trustee. Mr Sinha is Associate Director at Tata Trusts, Mumbai – one of the largest and oldest non-sectarian philanthropic agencies in the country. Mr Sinha is a seasoned professional in the development sector and worked in Professional Assistance for Development Action (PRADAN), Society for Promotion of Wastelands Development (SPWD) and Sa-Dhan before joining Sir Dorabji Tata Trust and the Allied Trusts in 2005. His area of expertise includes natural resource management, rural livelihood, micro-finance, ecology and technology transfer. Mr Sinha’s academic credentials include a B Tech degree in Agricultural Engineering from Orissa University of Agricultural Technology (OUAT), Bhubaneswar and as a Research Scholar (Technology and Development) at the Indian Institute of Technology (IIT), Bombay. He has vast range of exposure to the NGO development work in the country and was nominated to a Sub-Group of the Planning Commission for the Twelfth Five Year Plans of the Government of India during 2011. Mr Sinha is on the board of Livolink Foundation as one of its Trustee. Mr Satpathy is currently the Executive Director of Professional Assistance for Development Action (PRADAN), New Delhi – a not for profit organization that works in seven states of India for enhancing the self-efficacy of the rural communities through impacting their livelihoods. He is a graduate in Civil engineering from National Institute of Technology (NIT), Rourkela. He also holds an M Tech degree in Water Resources Development and Management from Indian Institute of Technology (IIT), Kharagpur. He joined PRADAN in 1990 after obtaining the Master’s degree and is working since then in the field of rural development and livelihood promotion. In between he was on sabbatical leave to work with International Water Management Institute (IWMI) in its water policy research program. His expertise includes community organization, natural resource management, recruiting and guiding professionals, team building and leading large programs or organizations. Mr Satpathy is a Trustee of Livolink Foundation. Mr. Bhuta is currently the chief of Corporate Sustainability Services at the Tata Steel Limited, Jamshedpur. He has considerable experience in the corporate social responsibility and development sector and is one of the Trustees of Livolink Foundation.